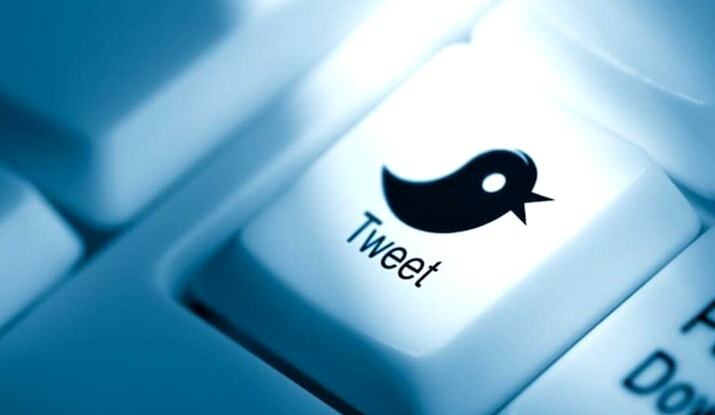 Twitter is quickly becoming the social media hotspot for small businesses. When something happens in the business sector, news spreads like wildfire. If the DOW drops even a point, thousands of tweets get sent out about how the tech crisis is real, America’s economy is going down the toilet and we all need to be diverting our assets on the double. Whether or not this sort of quick panic is warranted or not is a different story. The takeaway is that when you put something on Twitter, people take notice. Whether it’s just a small trickle of followers liking and retweeting content in the early stages, or when you finally become a viral hit sensation online, Twitter is the place to be right now – and it’s pretty obvious why. When you want someone to pay attention to your promotions or business news, the best place to find an audience is your Twitter feed. The Twitter strategies you put out in 2016 can be life-changing for your business goals, but you’ve got to know the facts and how to use them wisely. In case you didn’t notice, Google and Twitter are pretty “tight” – they stuck up a partnership in February of this year. Twitter has allowed Google unmetered access to their streaming social content, which means relevant tweets now show up in search engine results. This is important for you to remember. This change means that tweets are kind of like their own SEO. When you make your tweets valuable and relevant to a targeted keyword, they’re more likely to show up on that search results page, giving you a wider audience pool. This deals directly with your Twitter strategies. Tweeting isn’t just about typing out some words with hashtags and hoping something sticks. No, your tweeting requires thought and strategy. The time your tweets are posted, the content of these tweets and how frequently you post them are all relevant to how successful you are on Twitter. Digital marketing is an ever expanding field that is constantly becoming more and more rich with traffic and consumer mileage. Social media content marketing is becoming more powerful. While it’s not a very oft debated topic in 2016, this partnership between Google and Twitter shows that social media matters and that won’t be changing anytime soon. Because social media is so powerful in this day and age, it’s becoming more and more important to stay extremely relevant on social media. This means keeping your content current based on featured stories and industry news relevant at the time. Stories pulled in from news aggregates like The Huffington Post are great places to start. When you respond about a trending topic with a source, you increase your chances of being found via Twitter searches. This kind of thinking should be applied to all your strategies in marketing, but especially those that deal with Twitter. Social media platforms have their own content etiquette – while it’s inappropriate to post your entire life in quick succession on Facebook, spamming Twitter with updates is more successful. Don’t do this on your business account. Instead, look at what this says about the speed of Twitter. It moves like lightning. As soon as someone finds out new information, they’ve got to comment on it. This kind of relevancy is hard to achieve, but doable as long as you implement a strategy that keeps you on your Twitter toes. In 2016, you need to start focusing big time on how many followers you have. There are a lot of organic ways to get followers, but you need to be proactive if you want your follower count to grow to huge numbers. Want 10,000 followers or more? That’s something you’ve got to work for. You can do this by focusing your attention on two areas: the content you post on Twitter and the place you advertise your Twitter account. Start with the latter. You can advertise your Twitter almost everywhere. Your email newsletters, your blog posts, your business cards. If you can add text to something, you have the ability to advertise your Twitter. You can also get followers through deals made with other business peers. When you engage with others in the Twitter community, you’re more likely to make connections that lead to follower booms. Now look to your content. The content you post and share on Twitter should be focused on topics both relevant to you and your chosen audience. When you find your audience niche, it’s easy to post quality content that they care about. Look to your business’ audience – if you target 20-something women with your products, what can you tweet about that is relevant to their interests? Ask yourself questions like this in order to post the most valuable content possible. In general, it’s not rocket science in order to unlock success on Twitter. All you need is to ask the right questions and keep on top of trends. Do that and you’ll win every time.